THE STAR: ARE YOU SERIOUS? 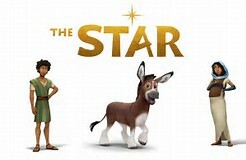 You can call the animated family friendly feature film The Star (premiered on the 17th Nov) a comedy if you wish, but intentionally or otherwise (and it is supported by various Christian groups who call it “faith based” and regard it as positive) it finishes closer to lampoon, a Jesus of the jokes performance. The film’s poster improbably declares, “ït takes many tails to tell the greatest story ever”. Really? The message of the comically retold Christmas narrative is to the effect the animals, especially an insistent donkey who Mary thinks just needs belly rubbing, are the true heroes and wise guys of a story which it proposes for the minds of children, its chief audience, has never been either quite rightly told or understood…till now. I don’t wish to be too harsh having only seen the trailer, but I feel this is enough to indicate that the effect if not the intention, can only be to sow doubt and almost to contribute in its season to the war on Christmas in a cute way not easily opposed. I can’t comment on the possible significance some early critics choose to see in various poster images and ads with a child in the manger who could be anything from a Christmas parcel, to an illuminated mutant or a pagan all-seeing eye. Some of this may be owing to hostile awareness that a notable new ager, Oprah Winfrey, is a voice in the film (as is also the virtually new age preacher Joel Osteen). But no critic can be called merely bigoted for sensing some blurring of facts and irreverence or just cheapening is happening in a way other faiths given the same treatment could be expected to protest or censor. Ironically too, whether or not images for The Star film distort, the film happens to be appearing at the same time as something of a scandal has broken out in England over Gregg’s Bakery posting an image, and offering a calendar, that includes the Magi worshipping at a manger which substitutes the Christ child for a pork roll – one could take that as anti-Christian (some might say anti-Semitic too). The company has apologized but meaninglessly since it seems the calendar goes on general sale next Monday anyway. All this said, it remains undeniably the case that where especially the star of Bethlehem is concerned, the birth narratives have not been adequately understood even to this day, a situation which for some has been a pretext to dismiss the entire Christmas story as pious myth. Others have inquired into celestial phenomena and come up with various theories – one of the oddest yet popular being to declare the Bethlehem Star a Venus/Jupiter conjunction. It’s odd since this bespeaks especially lifestyles of the rich and famous and big money. The record breaking sale of da Vinci’s Salvador Mundi was suitably overseen by just this among other factors. Long one of the most academically respectable theories about the star, and commended as plausible by the scholarly Pope Benedict, is the D’ Occhieppo and Hughes thesis that I have radically developed and with remarkable results. Especially with the addition of factors like asteroids and so-called Parts, the standard data will speak in terms the layperson can understand (like the Part of Redemption conjunct Christ’s theme and identity giving sun). 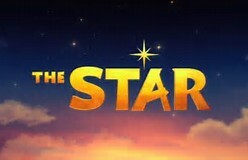 I claim the pattern is so accurate it registers Jesus associated events and issues for his reputation to this day……As it does for the film The Star which is and isn’t at all about the Star of Jesus’ birth. Only this week I published an article on my other blog, McCleary’s Alternatives, about the mentioned auction of Leonardo’s Salvator Mundi painting demonstrating how rightly timed the auction was for its connections to the charts of both Leonardo and Jesus. https://wp.me/p2v96G-YJ The time was plainly fated. But so arguably things also were for the premiere of The Star which has been put back from the 10th of November to the 17th and needed to be so to properly reflect itself. I note the following three points. 1) In astrology Neptune rules any film and so it is apprpriate a film about The Star is featured during the Christmas season which this year and on 17th November shows Neptune near stationary on 11 degrees of Pisces. This in Christ’s natus conjuncts asteroid Stern – German for star – the asteroids work across time in translingual ways. 2) Saturn (any restriction) unhelpfully for religion generally at this time, is in the religions and philosophies sign Sagittarius (which as the signs are multivalent at another octave can be about the animal realm and humour). Saturn is in that sign at 26 degrees. This means it is conjunct the Galactic Centre which enjoys a certain association with events in religion. I would suggest that in line with things Saturnian, neither religion, nor for that matter even the animal realm and humour, are being particularly well represented. 3) If the film had premiered on the 10th rather than the 17th, the theme-giving sun of the day would have conjuncted no expressively asteroid-conjuncted degree in Jesus’ birth pattern. As it is, on the 17th with the sun on 25/26 degrees of Scorpio, conjunction is made to natal Malin (Fr devil) which hints behind the laughs at the potentially undermining nature whether of the film or offensive calendar. I would likely see more connections if exceptionally at this time I was not encountering problems accessing data for asteroids which I would like to read for the 17th November. But sufficient to make the point here that whenever there is anything of real relevance to Jesus and issues around him they will be eloquently present in the data I claim to possess for Christ. It’s a fact that can well be declared during what is in fact the wrong Christmas season as Jesus was born in September.